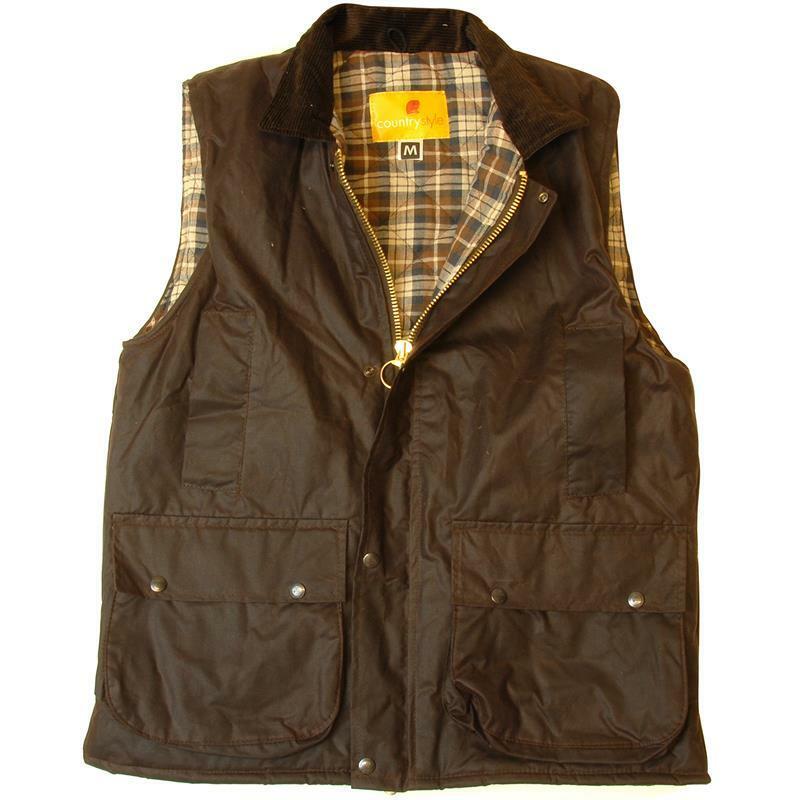 Countrystyle Padded Cupra Wax Bodywarmer - Brown. This bodywarmer features a cupra waxed cotton outer fabric, polyester quilted cotton check lining and a two-way brass zip. Additional features include two large front pockets with studs, two handwarmer pockets, inner pocket, studded storm flap and a corduroy collar.